From the way the ancient city is called, one could almost get the taste of what living in it would be like. The city sounds sweet in the mouths of the elders and the young ones. It is with a certain, deliberate thoughtfulness that could not be found in the way other cities and towns are pronounced especially with its cultural heritage. Ile Ife is an ancient city of Yoruba, on the outskirts of Modakeke, close to the service road which links traveling vehicles to the mainly road leading to Iwo, and subsequently several towns in Osun State. In this town, culture and tradition are well respected by everyone. 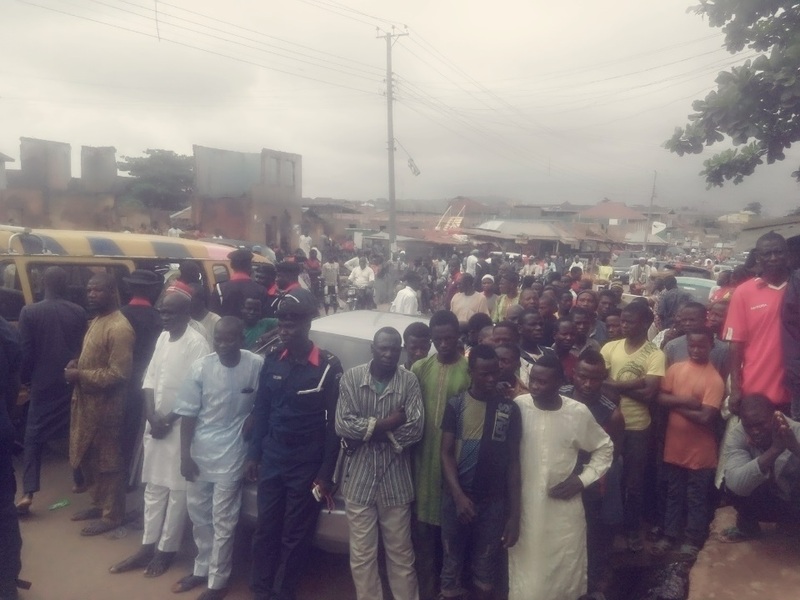 One of the many biggest markets in Ile Ife is Sabo market. Sabo pulsates with life. Its suya spot, night life and its red light district, help to keep it alive, indicates an online platform. One may add that the warmth of its inhabitants, its tall buildings and the joy of living, so noticeable on its streets, helps to give it character too. At 4:30 am in every day, the community is already wide awake. Men are busy in their shops while some young men are already heading to the nearby mosque. Bus conductors are eagerly yelling “Lagere, Mayfair, Campus and mentioning many other locations. Women clean pots and pans as they get ready for the days business, expressing themselves in Hausa and making an easy turn to Yoruba if they have to. Sabo impresses in the day time too. There are countless restaurants spread all over the community, where for a little money you can have a nice meal of white rice, stew and salad. By the restaurant is a mosque and soon the men gather to say their prayers. It is about 4:00 pm. Hawkers of fruits,sugar cane and so many items,as well as visitors, all pass by. Men on commercial motor cycles also move along with their passengers. The men continue praying. 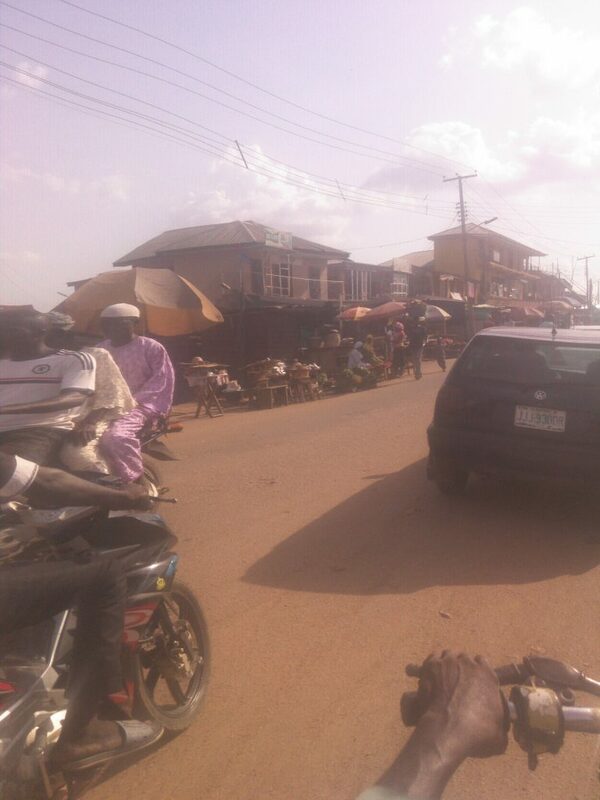 This part of Sabo looks like a slice of Kano, but it is not. 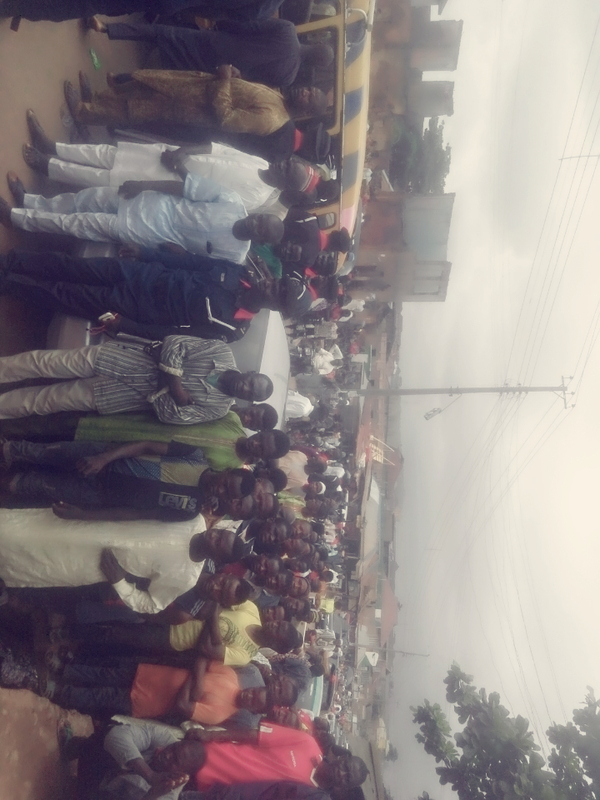 This is Ile Ife. The streets are narrow, houses are built close to each other, and there is a huge growing population. Alh. Mahmuda Abubakr is Leader of the Hausas. He is also known as Sarkin Hausawa, his official title. He rules over the Hausa populations in Ile Ife. He was not born in Ile Ife, but has since become home to him and many others, and that the history of the community goes back a long time. The market consists of traders from different ethnic groups in Nigeria. These include: Yoruba, Hausa, Igbo, Kanuri, Ibibio, Fulani, Efik, Edo, Igala, Idoma, and Ebira just to mention a few. It is most populated with Hausa’s because most Vegetables comes from the Northern part of Nigeria. All food items that are grown in tropical Africa can be found there. Including vegetables, fruits, anything related to salad, tomatoes, pepper, onions, yam, yam flour, palm oils, livestock, fresh and cheap perishables, and other numerous edible food items and non-edible items are sold there. Findings say the Hausa community developed the street along which the community is found. Slowly, the population of Hausas grew and grew, until, finally, the neighbouring communities began to refer to the market as hausa community. There are shops, dwellings, restaurants, mosques, tea sellers, shoe repairers, tailors, local barbers (wanzamai) and countless other folks who help to define and give colour to Sabo. There are many individuals who married Hausa wives in Sabo, that is Hausa ladies born in Ile Ife. Some of the parents of these Hausa women were born in Ile Ife. There are many Hausa men whose first home is Ile Ife, for they were born there. There is a high level of intermarriage and mixing of cultures going on in the community. One of the leader of the Hausa in the market, Alh Sani Muhamadu, says that he used to bring cows from the North to sell in Ile Ife and this eventually made him to settle at Sabo. “I would spend thirty days trekking with cows from Sokoto. I would sell the cows and take the money back to the North, and buy more cows to return to the South with. Sometimes, ten of us will bring 50 cows from the North and trek with these to the south,” he said. He said migrant workers used to come to Sabo market a long time ago, and the culture is still alive today. “Some used to come here and work for a few months, and then go back home. While here they sell goats,beans and sugar cane, and also carry out menial jobs. Our people work hard here and then go back later”. Will The Donald Dukes Of Nigeria Ever Get A Chance?